Provençal poet; lived at Luc in the second half of the thirteenth century. He is known in Hebrew literature under the surname of "Gorni," which, as Steinschneider first pointed out, is the Hebrew equivalent of "Aire" (= ). 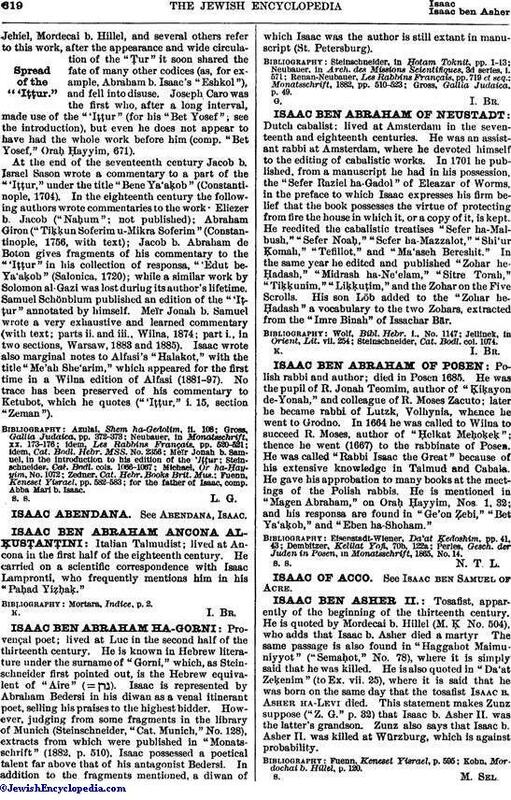 Isaac is represented by Abraham Bedersi in his diwan as a venal itinerant poet, selling his praises to the highest bidder. However, judging from some fragments in the library of Munich (Steinschneider, "Cat. Munich," No. 128), extracts from which were published in "Monatsschrift" (1882, p. 510). Isaac possessed a poetical talent far above that of his antagonist Bedersi. In addition to the fragments mentioned, a diwan of which Isaac was the author is still extant in manuscript (St. Petersburg). Gross, Gallia Judaica, p. 49.